Post surgical Shapewear is one of the few things that gives you control over the sensitive process of undergoing a surgical procedure. You can’t control how your body reacts to a medical intervention, but you can 100% be proactive in making sure you get the best results and experience a quick & comfortable recovery. By wearing Shapewear after surgery, be it cosmetic or therapeutic, you can definitely make a positive impact on your pain levels, on your scarring results & on your body’s general comfort during the healing phase. What is the most frequently asked question we get when it comes to post-surgery compression-wear? Is Shapewear good for your health? An easy way to answer this question is to go through the health-focused features that CYSM’s Post-Surgery Shapewear line has to offer, and let you decide for yourself! By stimulating a healthy blood flow to the affected areas, post-surgery Shapewear will not only keep your skin healthy, but it will also help with better scarring, especially after invasive surgical procedures. From moments after the intervention, when swelling is to be expected, to the following days of your recovery, when increased compression will minimize the pain and discomfort you experience; the gradual compression in our post-surgery Shapewear designs are fully adjustable to your needs. Invasive or non-invasive, surgery always comes with extra strain on your body; that’s why an adequate amount of shoulder/back support & dedicated muscle support in key areas are essential in keeping you safe & comfortable during recovery. CYSM’s Bio Therapy fabric coating creates a safe anti-microbial environment, which allows you to heal safely, by taking advantage of the medical-grade technology behind the gradual release of antibacterial active ingredients when the garment comes in contact with your skin. Targeted compression plays a big role in how post-surgery Shapewear manages to speed-up the healing process; and preventing edema is a top priority for our compression-wear designs, so you can look & feel amazing in no-time. 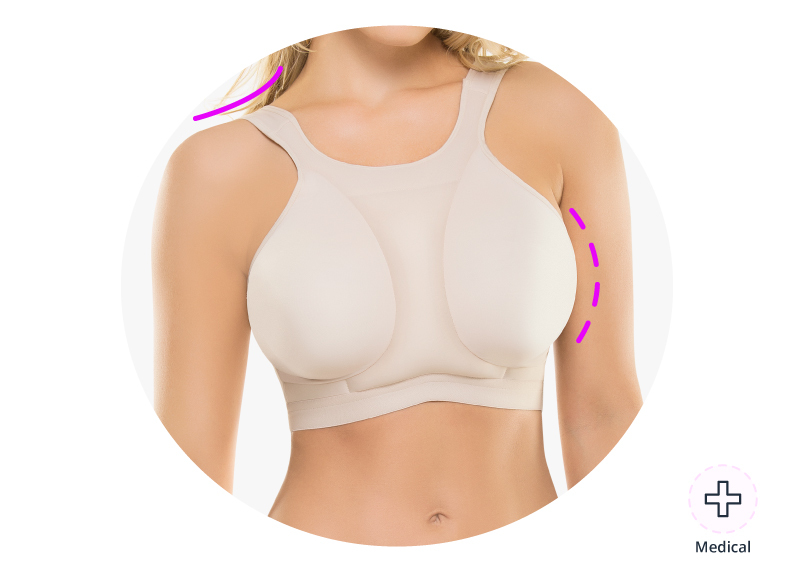 The best post-surgery Shapewear is the type of compression-garment that fits your specific needs, depending on the procedure you’re in, while meeting the checklist of features above!